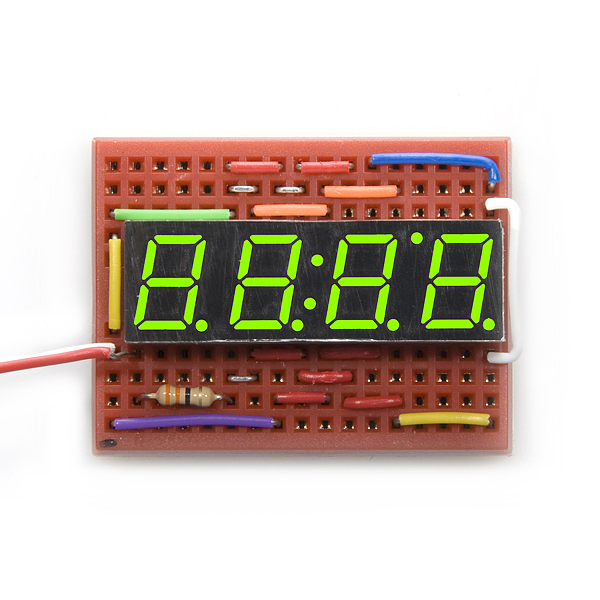 This is a basic, 4-digit 7-segment display - green in color. It has a common anode. 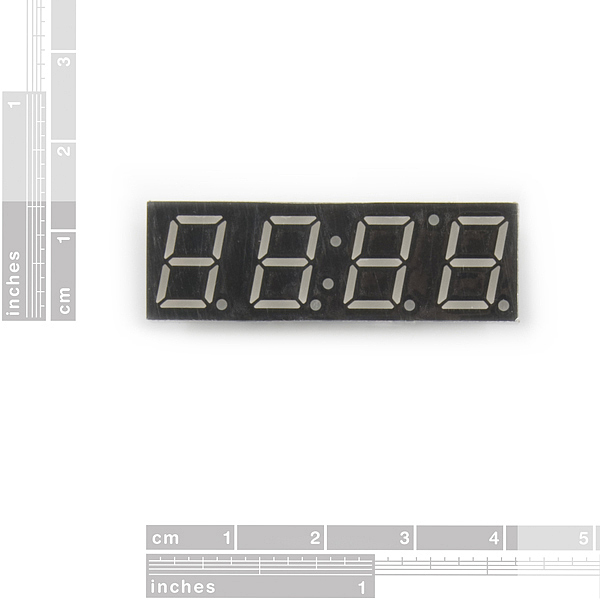 The display features one decimal point per digit, and individually controllable apostrophe and colon points. We carry this same display in red, yellow, and blue. A black plastic bezel would be nice to make these look professional with a project box. The displays themselves are awesome. Can you control this using I2C? If so how? 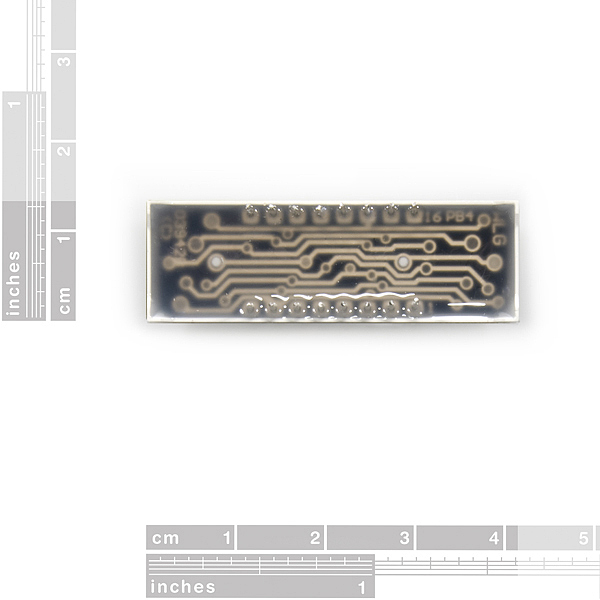 The other thing was the pin location, the provided schematic is incorrect! So for further use: Please fix this part in the firmware code and change the Schematic sheet!! 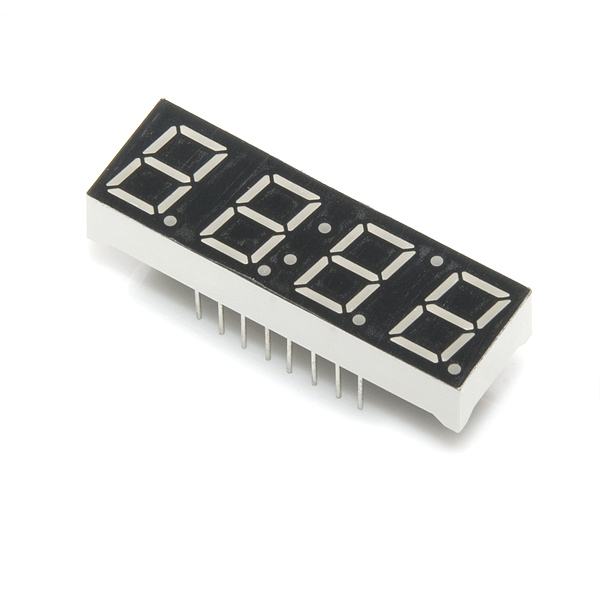 does each led on the display draw 20 mA or net current draw is 20 mA. sorry the data sheet wasn't so clear or i probably just missed something. "Kelly Green" is a yellow-green, not "emerald green"
Anybody has the EAGLE library for this part ? That happened to me as well. Sparkfun replaced the device for me. Sorry to hear that. Contact tech support at sparkfun dot com and we can get you taken care of! Does anyone know the light-up and light-down response times of these displays? Has anyone ever used this with the Max7219 chip and an Arduino? I'm trying to get this to work using the LedControl-library but am having problems. I'm not really sure where to start!! I have a question, How might you display the number "20"? I am playing with this thing and... basically if you create a 7-segment number on more than 1 of the 4 digits, it will display the same 7 segments on each digit. I can make a 2 appear on digit 3, and a 0 appear on digit 4... but try to do them at the same time and I get an "88"
Yes, you'll need to do some multiplexing. You want to rapidly sequence through each digit, not turn them all on simultaneously. See http://www.mikroe.com/en/books/picbook/7_08chapter.htm for an example. Oh how I wish there was a six segment version of this for clock displays. One of the photos of this item looks "doctored", or is it just me?